1) 1. Find a great stylist who KNOWS and LOVES curly hair. 2) 2. Skip the daily shampoo but don’t forget the leave-in conditioner. Your locks will love you for it. 3) 3.Use product that is prescribed by your stylist. We promise this will help. You might have to use a bit more in the summertime because of humidity. This will help you from feeling disheveled and messy. 4) 4.NEVER use a brush your hair. Use your fingers for styling wet hair. 5) 5. Let nature take its course by air drying your hair as much as possible. 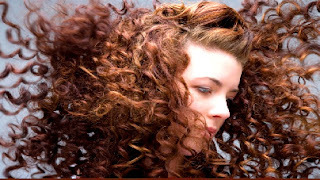 6) 6.Touching=Frizz fro out of control. Keep your hands off your beautiful curls. 8 7. Invest in a Satin pillowcase (it helps to help eliminate frizz! ).